RedWolf Airsoft is proud to be the authorized agent for Deep fire, a reliable airsoft parts manufacturer in Hong Kong. They provide wide range of high quality products, such as Grenade Shells, AEG springs, precision barrels, gear box spring set, piston, etc. The most impressive product from Deep Fire is the titanium toothed piston which is virtually indestructible. User tests have shown that installed into an M150 configuration and fired 1000 rounds, the piston still looks brand new on detailed examination. 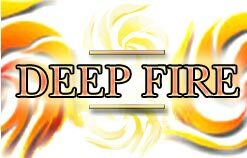 DEEP FIRE also offers the highest capacity shell around today - a full 180 rounds of whopping power. Check out DEEP FIRE's products below, or by searching our site for "Deep Fire". We are constantly adding DEEP FIRE products to our lineup. Click on the links below for what is immediately available!